My husband has been paitently waiting for the release of Disney's The Lone Ranger starring Johnny Depp. He really like Johnny Depp in Pirates of the Carribean and couldn't wait to see how he starred in this new film. The day that it arrived in the mail he immediately said he was going to sit down and watch it that evening. He kind of reminded me of our children. They do the same thing when they receive a movie for review. The next day after watching it, he gave me a review. He said it was awesome and that Johnny Depp played an amazing role in the movie. I honestly was sure that he would. I really enjoyed him in Alice in Wonderland and Charlie and the Chocolate Factory. He totally puts 110% into each role that he is cast for. I mean just look at his makeup on the cover. How could you not be intrigued to watch it. If you have ever read any of my other reviews, I don't like to give to much away so you can enjoy it for yourself. My husband gave it a 2 thumbs up! Below is a description of the movie . 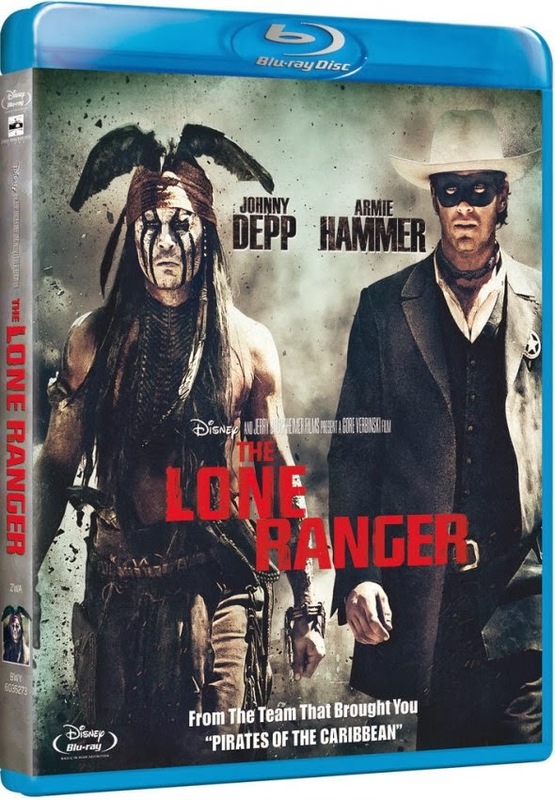 Johnny Depp and Armie Hammer star in The Lone Ranger, from Jerry Bruckheimer Films and Director Gore Verbinski. It’s a wild ride of high velocity action, explosions and gunfights that brings the famed masked legend to life through brand-new eyes. 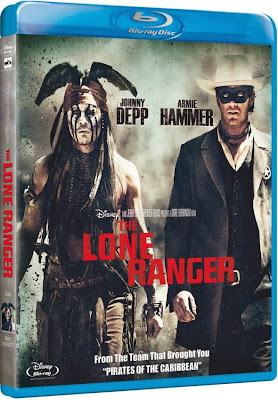 The Lone Ranger (Hammer), the last of his kind, teams with Tonto (Depp), a dark and mysterious vigilante, to seek vengeance after justice has failed them. It’s a runaway train of epic surprises, as these two unlikely heroes must learn to work together before the ultimate showdown between good and evil explodes. Be sure to pick this up for a Great Stocking Stuffer. It will be available on December 17, 2013.